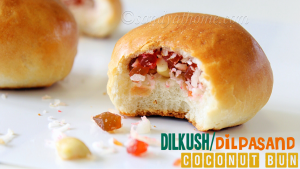 Dilkush/ Dilpasand/ Coconut Bun is an extremely delicious bakery style sweet buns stuffed with coconut flakes, tutti frutti and ghee fried cashews. 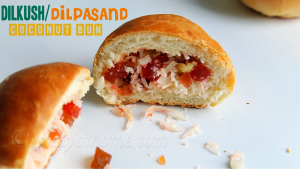 These buns are super easy to make and requires very few ingredients that you can easily pull out of your kitchen. 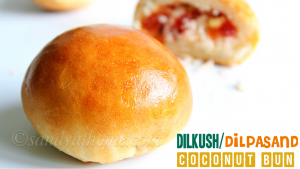 These soft buns are eggless buns and are achieved without much effort and instruction which is a bliss for beginners. 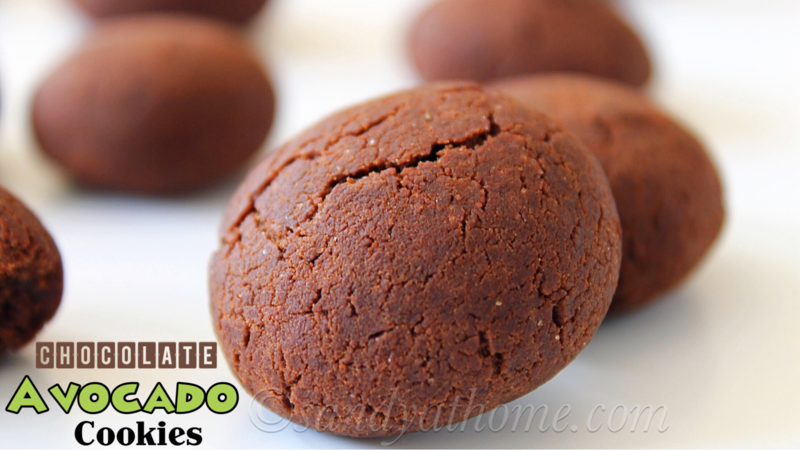 I am really excited to share this recipe as this is one if my childhood favorite and missed tasting it after coming here, as soon as I baked these I felt nostalgic, melted down i should say. 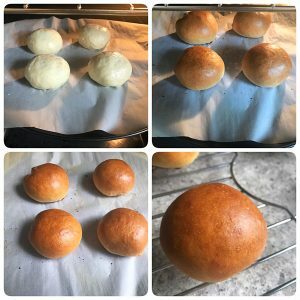 I baked these as individual buns just the way i had it in the bakery, which can be transformed into 1 single big sized bread as well. The below mentioned quantity will yield 4 medium sized buns. 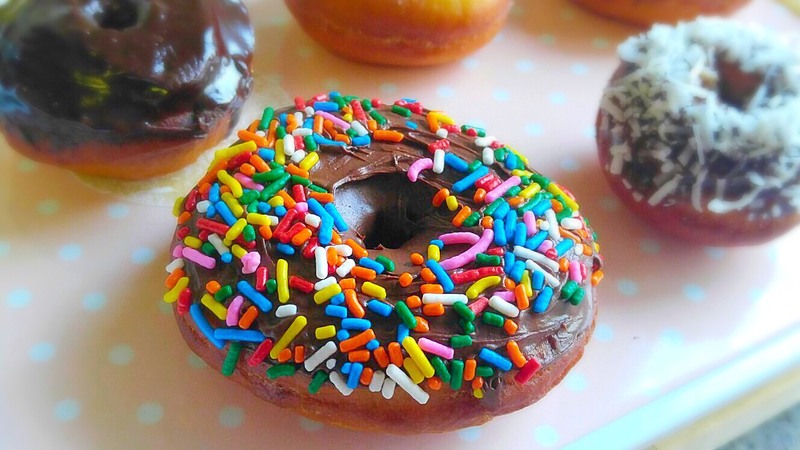 So I wanted to post a sweet dish as the blog got 1000 subscribes!!!! 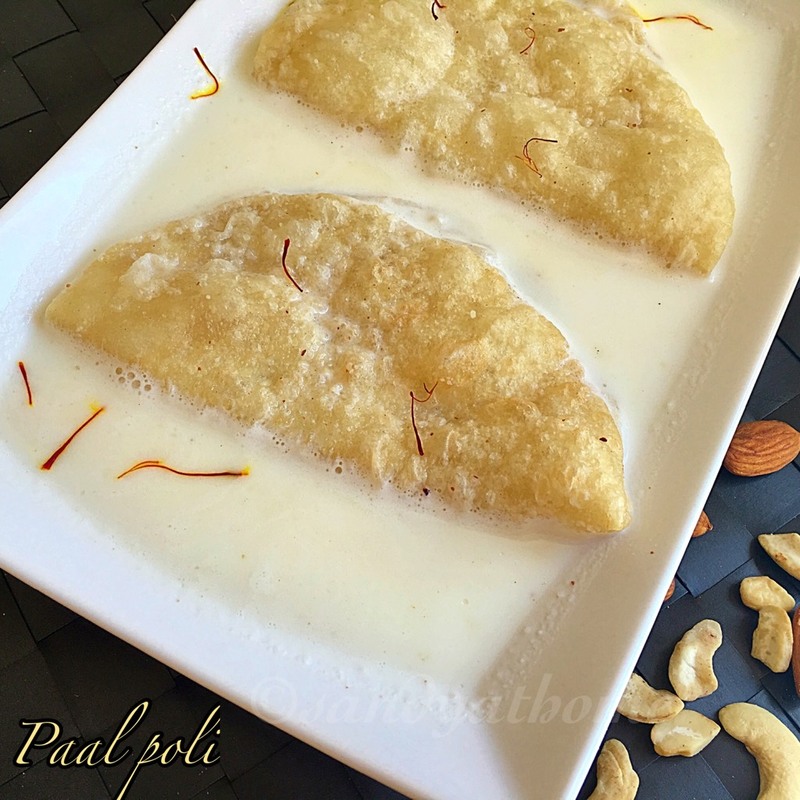 but thought for a while that sweets are common for any occasion or celebration so posted this different yet interesting recipe. Thank you guys! In 1/3 cup of warm water add yeast and sugar. 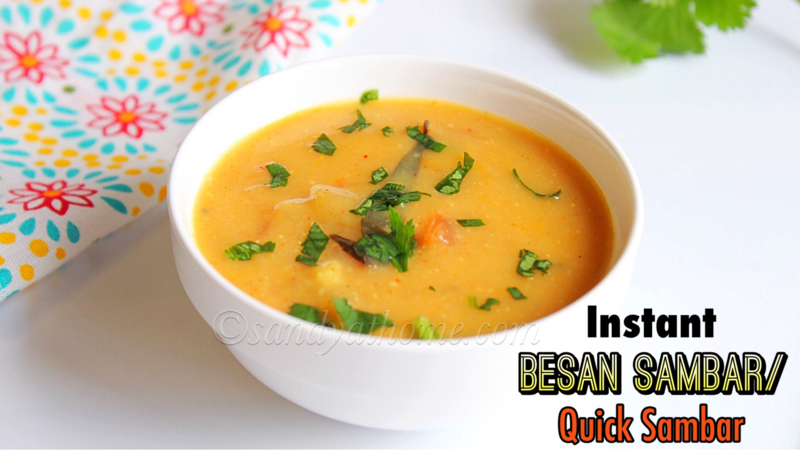 Mix well and keep it in an undisturbed place for 15 minutes or until frothy. When the yeast mixture has become frothy mix well and keep it aside. In a wide bowl add maida, sugar, pinch of salt and oil. Mix well. Now add milk and yeast mixture to form a soft dough. Initially the dough will be little sticky which will get better as you keep kneading it. So it took me about 3 minutes of kneading to get a soft non sticky dough. 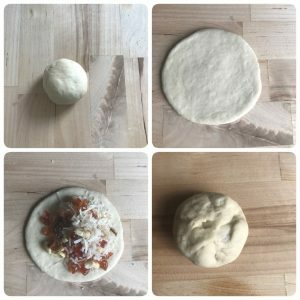 When the dough is ready cover it and keep it aside for 1 hour so that the dough doubles in size. 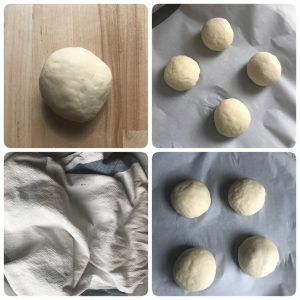 After 1 hour when the dough has doubled in size give it a punch to release the trapped air and knead it just once gently. Divide it into equal sized balls. I divided it into 4 golf sized balls. Roll in between your palm like a ball. 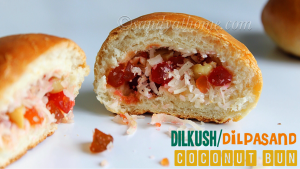 This step gives the dough round shape and the filling will be evenly distributed. Repeat the whole process. 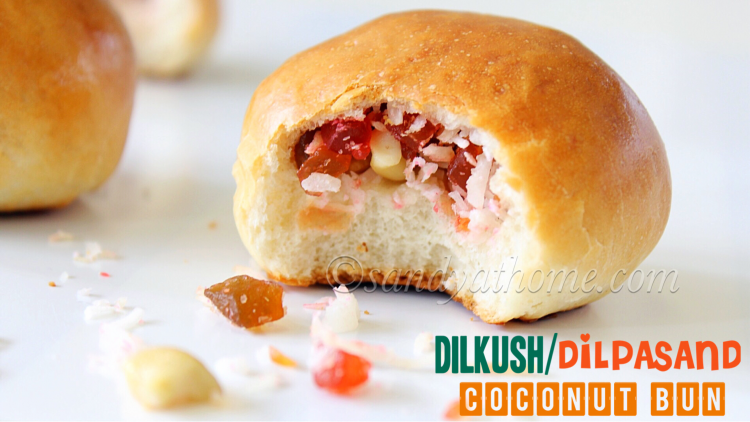 Now line a baking tray with wax paper/ parchment paper and place the stuffed buns in it and cover it with a cloth. Keep it aside for 10 minutes so that the dough gets proofed. Preheat oven at 375 F. After 10 minutes using a basting brush apply some milk on the top of each bun to encourage browning. 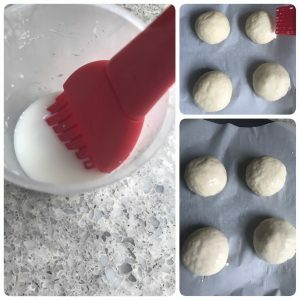 This procedure is called milk wash.
Place the baking tray with dough in the preheated oven and bake for 15 to 20 minutes. When done allow the buns to cool down by placing it on a cooling rack and then serve! 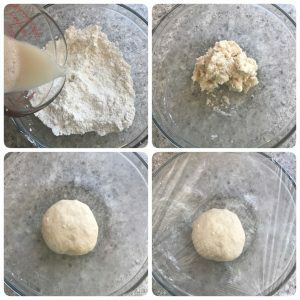 Lovely….. My dad’s favorite.. May I know if this is instant yeast? HI, I have measuring cups. Its shows 1 cup is 220 ml (for Maida). And u have mentioned 160 ML. Should I take 160 ml Maida?? 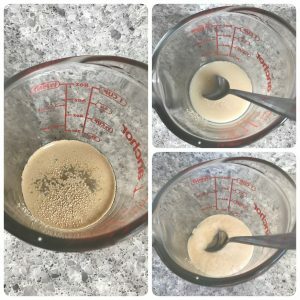 You can use your cup with any ml, make sure you measure all the ingredients with the same cup.